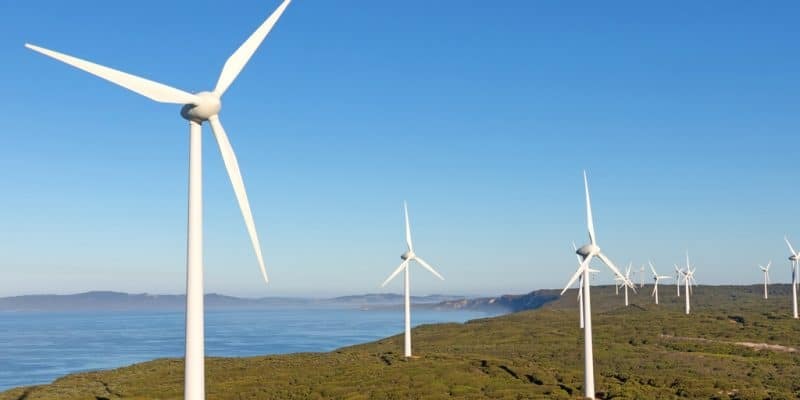 The New and Renewable Energy Authority (NREA), the institution responsible for managing renewable energy projects, has recently granted Lekela Power land for the construction of a wind farm in Ras Gharib in the Gulf of Suez. The private power producer (IPP) will thus be able to supply 250 MW to the grid. Lekela Power obtains a new concession in Egypt. The joint venture, formed by the British investment fund Actis and the Irish company Mainstream Renewable Power, has just obtained from New and Renewable Energy Authority (NREA), the authority in charge of renewable energy management, a site to build a 250 MW wind farm. The land is located in Ras Gharib, a locality in the Gulf of Suez in eastern Egypt that is highly prized by private power producers (PPPs). The reason this location is so attractive to PPIs is that in the area, the ocean breeze turns into strong winds of up to 12 km/h before entering the land. Some have nicknamed the region “Wind Atlas”. Experts estimate that up to 20,000 MW of electricity can be generated by harnessing the wind from the Suez Gulf. This is enough to arouse the interest of PPIs…. For example, a consortium composed of Engie of France, Toyota Tsusho Corporation of Japan and Orascom Construction of Egypt is installing a 250 MW wind farm there. The project, which will require an investment of $400 million, is partly financed by the Japan Bank for International Cooperation (JBIC). Once the land has been acquired, Lekela will focus on financial mobilisation for her wind project. Several financial institutions have already made investment proposals. Like the International Finance Corporation (IFC), the World Bank’s corporate finance subsidiary, which is seeking to inject $82 million. The European Bank for Reconstruction and Development (EBRD) also proposes to support the project with an almost equivalent investment of $81 million. Finally, the other proposal comes from Overseas Private Investment Corporation (OPIC). The US financial institution also wants to support the project with $82 million. Lekela plans to complete the financial closing of the project by August 2019. This will be followed by the negotiation and signing of a 20-year power purchase agreement with Egyptian Electricity Transmission Company (EETC), which provides public electricity service in the land of the Pharaohs. Construction of the wind farm is expected to begin immediately after this phase. It should be noted that the Gulf of Suez is crossed by migratory birds such as white storks that leave Europe to spend the winter in Africa, particularly in the Great Lakes region. Tired of this long journey, they rest and let themselves be transported by the wind. This manoeuvre can be fatal since birds can be hit by the blades of wind turbines. The environmentalists had already informed the Egyptian Minister of Electricity about this issue in the Gulf of Suez, particularly for the Engie, Orascom and Toyota wind farm project. Mohamed Shaker promised to protect birds through a “on-demand closure” programme. The question is whether the same process will be applied to the Lekela to Ras Gharib project.